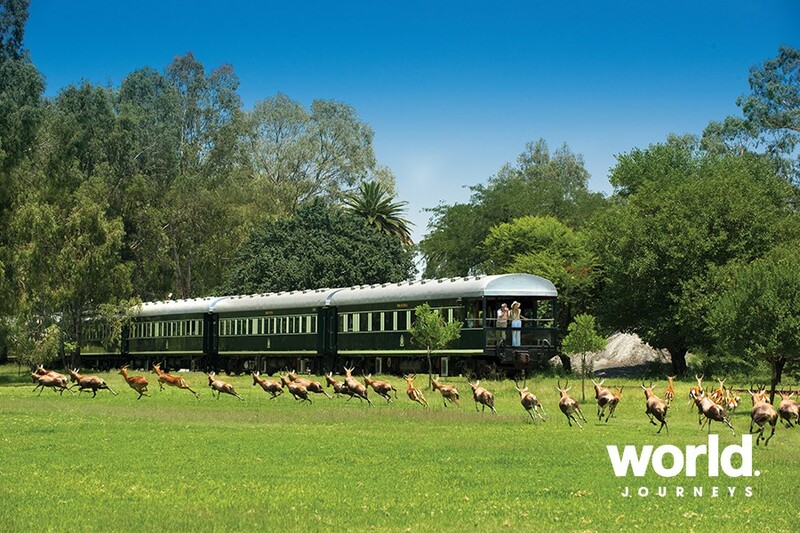 One of the world's most luxurious trains, Rovos Rail offer guests world-class travel experiences, fine dining and the romance and elegance of a bygone area. This delightful nine-day safari will entertain the most discerning golf player with optional excursions for non-playing guests at all venues. 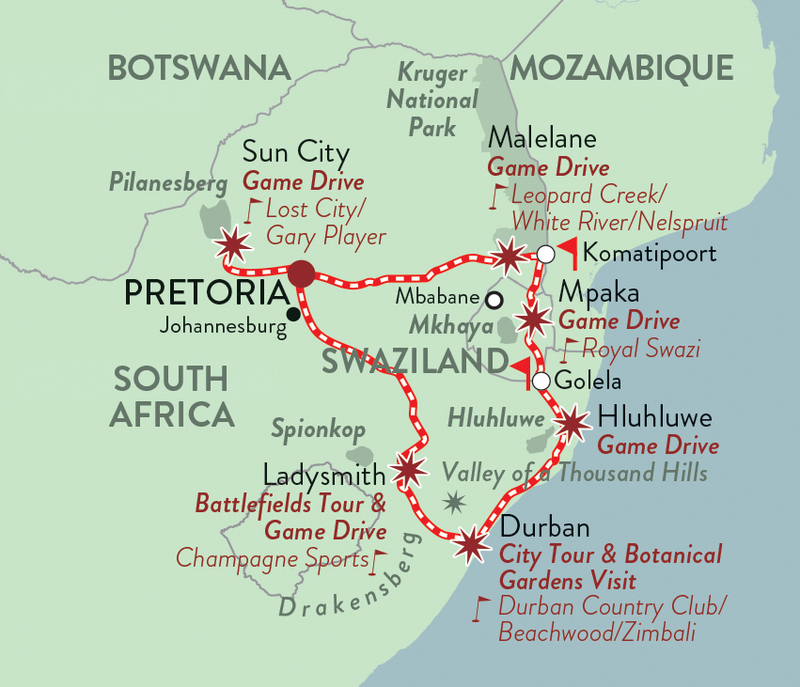 The Golf Safari begins in Pretoria and travels west to Sun City in the hills of the Pilanesberg. 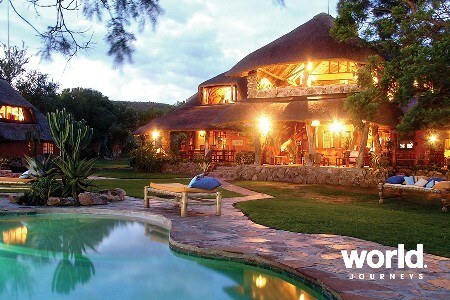 Spend a day at this renowned facility, including a game drive for non-golfers. In the foothills of the imposing Drakensberg Mountains, 18 holes await at the Champagne Sports Resort with a guided tour of the battlefields, a further highlight for non-golfers. 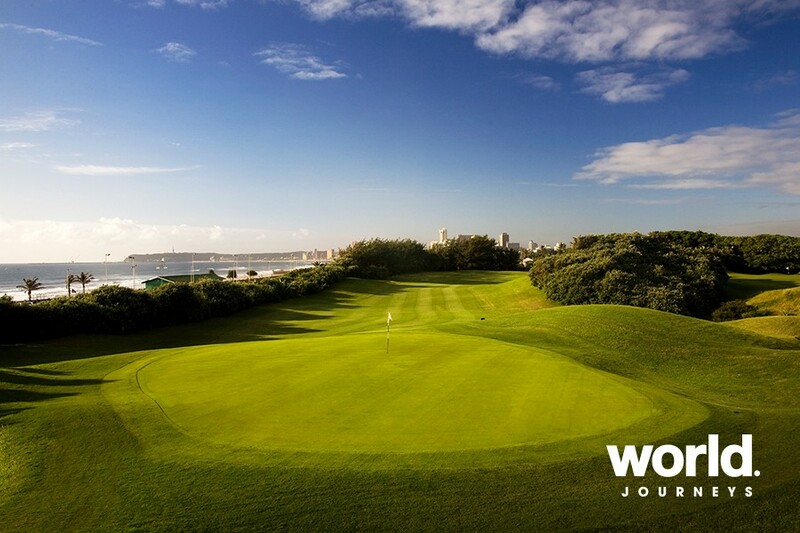 Enjoy a game at Durban Country Club (or Beachwood) or tour the city. 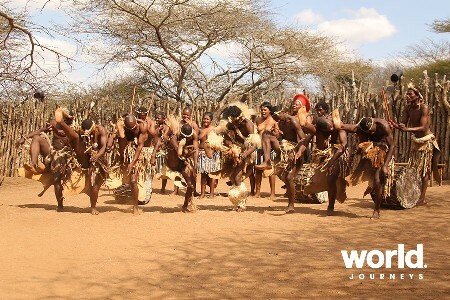 Then it's on to Zululand for game viewing at Hluhluwe before heading to Swaziland. Tee off at Royal Swazi or enjoy a game drive at Mkhaya and a visit to Ngwenya Glass and Guava Gallery. 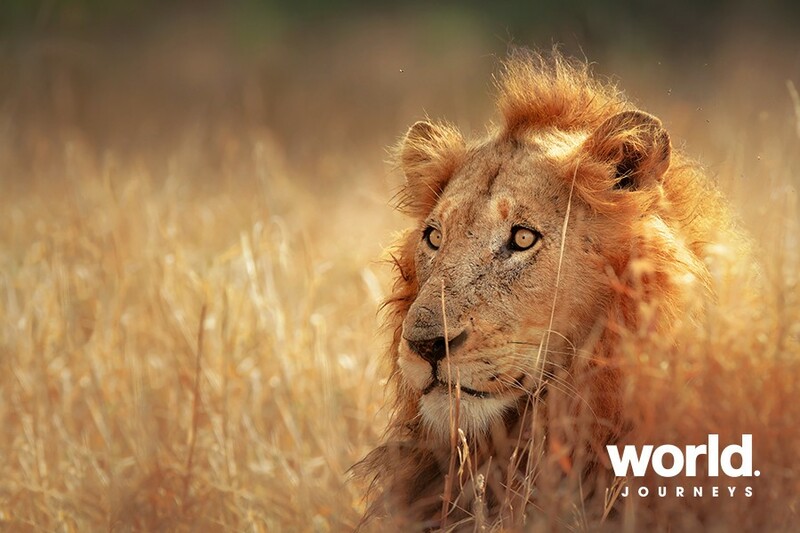 Golfers then play the challenging Leopard Creek course (dependent on availability) while non-golfers enjoy a game drive in the world-famous Kruger National Park, afterwards this memorable journey ends in Pretoria. ROVOS RAIL Half of the refurbished coaches in the Rovos stable date back to the 1920s and each has a story to tell. From the moment guests step aboard they will be delighted to relax among the traditional Edwardian furnishings. 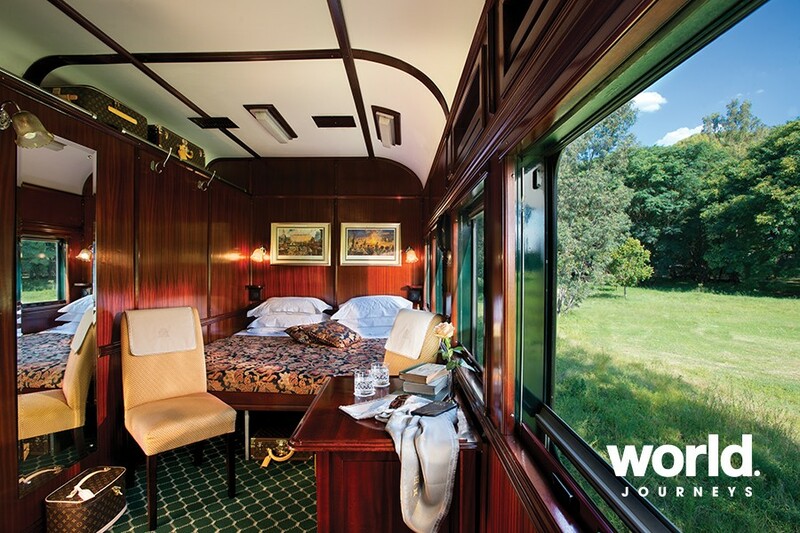 The rebuilt sleeper coaches are home to spacious suites, adorned with handsome wood paneling, paired with modern conveniences and comforts. The spacious suites are air-conditioned and offer the option of twin or double beds. Each suite has a sitting area, modern bathroom, personal bar and writing desk. 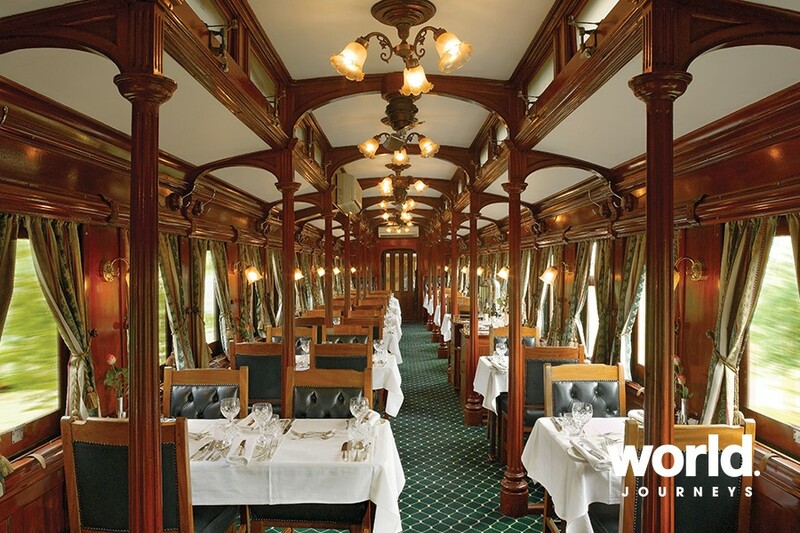 Meals are served in grand style in charming Victorian-themed dining cars. Tables are laid with crisp linen, fine china and sparkling silver, and the delectable meals are prepared with only the freshest local ingredients, complemented by a selection of excellent South African wines. There's also a rear Observation Car, where guests can marvel at the stunning views from the open-air balcony and large windows. It includes a cocktail lounge and a comfortable sitting room, the perfect setting to while away the hours. Other guest areas include a non smokers and a smokers Lounge Car. Your Deluxe Suite, with double bed, has a lounge area and en-suite bathroom with shower. The wood paneled rebuilt sleeper coaches, remodeled and refurbished to mint condition, offer every modern convenience and comfort. The spacious suites allow you to travel in privacy, comfort and luxury, all equipped with a writing surface and a personal safe for valuables. There is also a bar fridge filled with beverages of your choice and room service is available 24 hours a day. Day 1: Johannesburg > Pretoria Upon arrival at Johannesburg 0.R. Tambo International Airport and after clearing entry formalities and collecting your luggage, you will be met by our local representative and transferred to your accommodation in Pretoria - a drive of approximately 45 minutes depending on traffic. 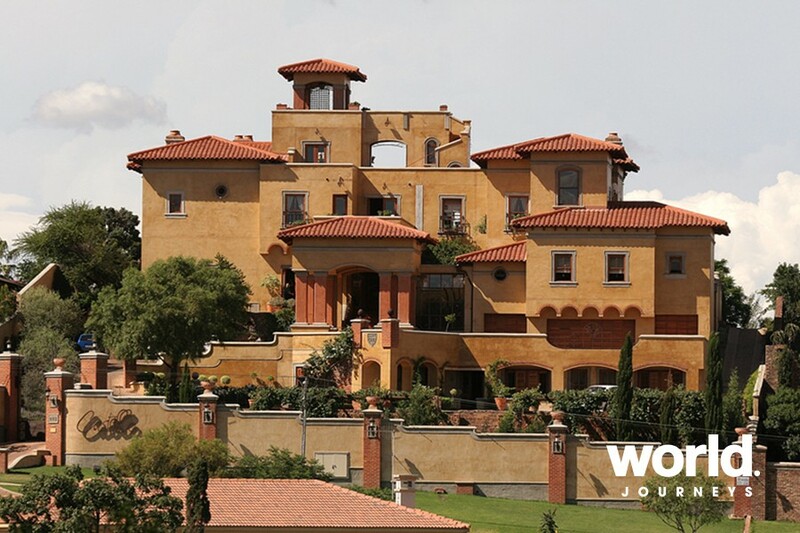 Castello Di Monte Castello di Monte is a 5-star luxury guesthouse situated in Waterkloof Ridge, Pretoria. This Tuscan style estate offers pure luxury and elegance with spectacular views of the hills in and around the city of Pretoria. 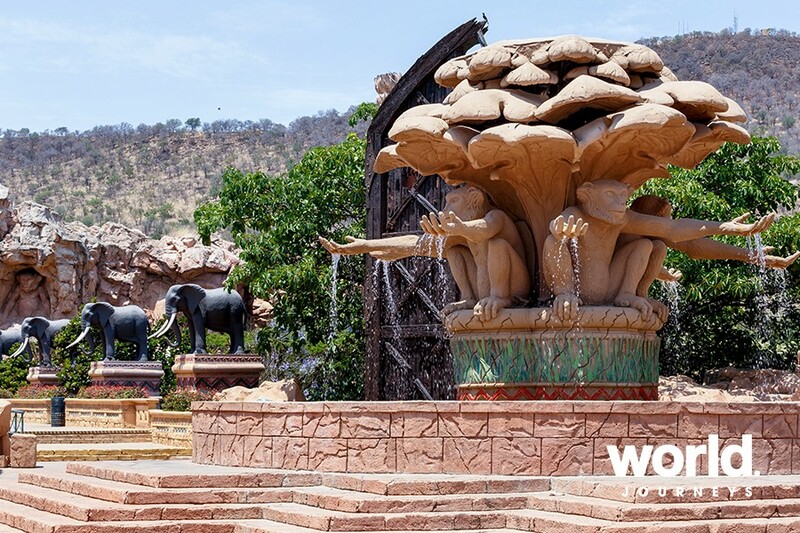 The landscaped gardens with mature olive trees and lavender bushes give an Italian flavour to the African landscape. Castello di Monte's 16th century splendour is complimented by every modern amenity. Day 2: Pretoria > Rustenburg (B,L,D) This morning, you will be transferred with fellow guests to Pretoria Station to board the luxurious Rovos Rail, bound for Cape Town. 11.30am check-in at Capital Park, Pretoria. Your luggage will be tagged and put onto the train. Enjoy a welcoming reception prior to departure. Spend the day settling into your suite and relaxing before enjoying lunch in the Dining Car. Dinner en route to Rustenberg. Day 3: Sun City (B,L,D) Breakfast is served in the Dining Cars until departure. 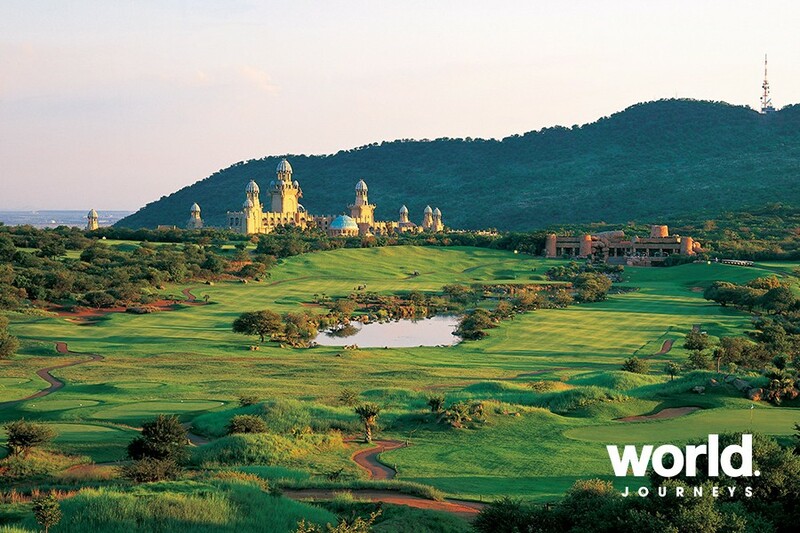 Golfers transfer (60 minutes) to Sun City's Gary Player/ Lost City Golf Course for tee off. Non-golfers enjoy a safari game drive in Pilanesberg Reserve and then meet the golfers for lunch. Afternoon at leisure in Sun City. Dinner served in the dinning car upon return to train. Gary Player (Gauteng, 6,550m, walking course) The birth of the Sun City Resort called for South African golfing professional, Gary Player, to design an award-winning golf course that would fit in with the superlative venue. Using his experience and know-how he understood exactly what golfers would appreciate. The strength of this course lies in the fact that it doesn't favour any particular shot and provides the same result whether playing the forward or intermediate tees. 8000 yards of golfing pleasure await all golfers with mesmerising views at every turn. 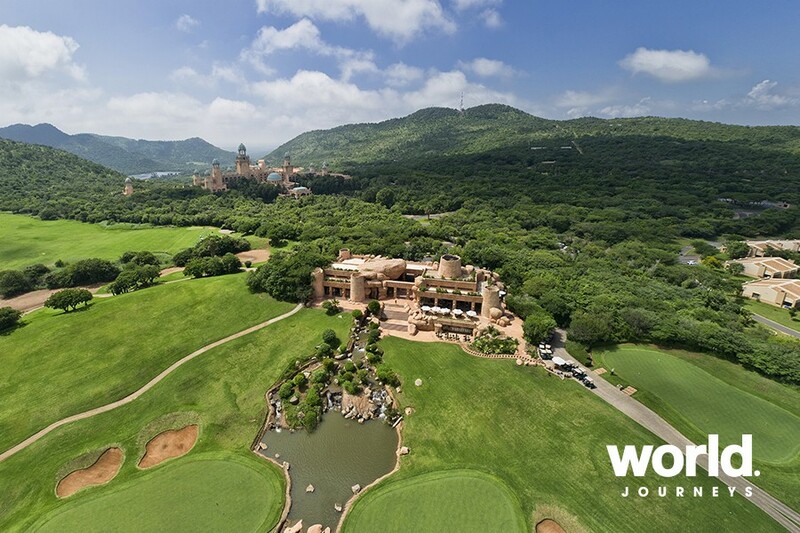 Built in an extinct volcanic crater, this immaculate golfing paradise conforms to the stringent US PGA specifications and is home to the annual Nedbank Golf Challenge which plays host to some of the world's golfing legends. Lost City Golf Course (6,983m/5,953m, carts compulsory) After the completion of the Gary Player Country Club golf course, the popularity of the Sun City Resort and its many attractions demanded that another golf course be built. Again, Gary Player was commissioned to design the course, his challenge being to create a very different golfing experience. 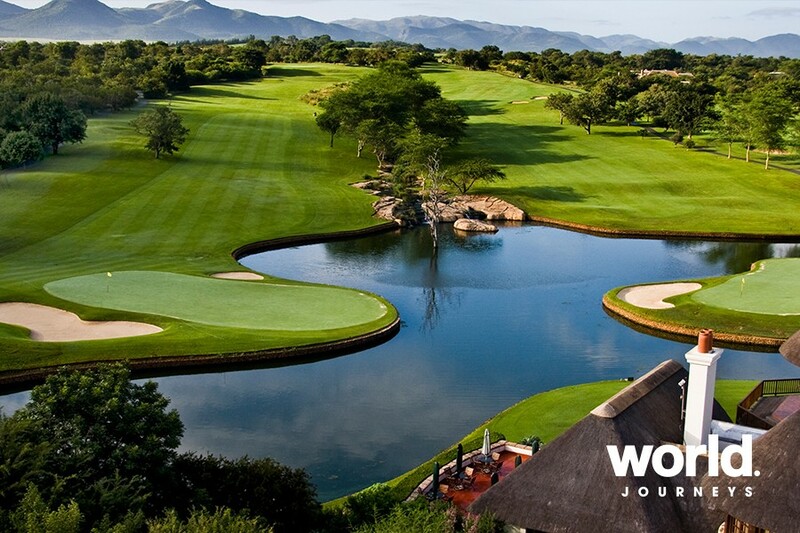 The course defies being bracketed into any particular genre having touches of mountain, desert and even African parkland in its make-up with wide fairways, a series of lakes that separates the ninth with the finishing hole and covers more than 100 hectares with 28 000 square metres of water features. Here the golfer can choose to tackle the course from its championship tees, the standard markers or forward tees. Even playing the shortest route presents a great test as the approaches to the greens - clad in bent grass and protected by bunkers - demand careful judgment. Signature hole: 13th - par 3, a green in the shape of Africa bordered by a pond, home to several large crocodiles! Day 4: Sun City > Ladysmith (B,L,D) Day at leisure on the train. All meals enjoyed on board en route to Ladysmith and Estcourt. Day 5: Ladysmith > Durban (B,L,D) Breakfast is served until departure. Golfers transfer (45 minutes) to Champagne Sports Resort for tee off and lunch. Non-golfers enjoy a Spionkop battlefields tour, safari game drive and lunch. 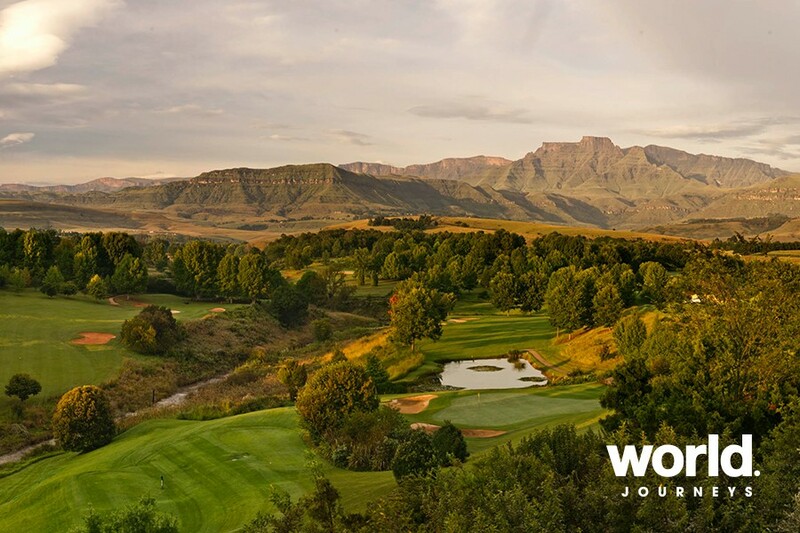 Champagne Sports Resort (7,400m, carts available) Located in the beautiful Drakensberg area, this course has to be rated as one of the most scenically memorable golf layouts in South Africa. Designed by Hugh Baiocchi and Kevin Curren, it successfully blends the natural attributes of the terrain and the surrounding beauty with the modern demands of a quality course. It undulates up and around the contours of a valley that nestles under the dominant peaks of Champagne and Cathkin Peaks and incorporates several holes with blind tee shots. Professional and novice alike will appreciate the 84 well-appointed bunkers that line the fairways and greens. The quality of the greens is accredited to Trevor Livesey whose passion remains unabated. Though the drama of the mighty mountains dominates the eye, the course also enjoys gentle vistas where the lower hills create a kaleidoscope of colour blessed with trees, rivers and dams to add even more of a challenge. Day 6: Durban > Hluhluwe (B,L,D) Golfers transfer to Durban Country Club OR Durban Beachwood for tee off and lunch. 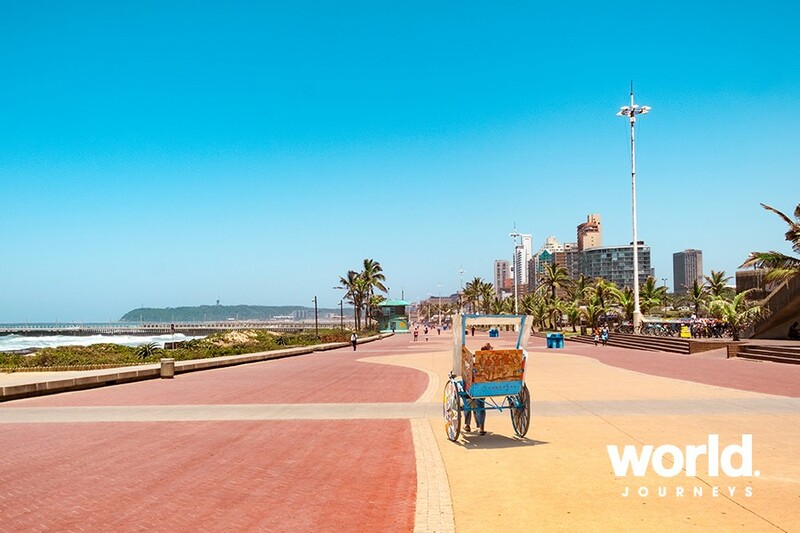 Non-golfers enjoy a city tour of Durban with a visit to the Botanical Gardens and lunch. Return to the train for tea in the Lounge and Observation Cars. Dinner en route to Hluhluwe. Durban Country Club (6,016m, carts available) Built by George Waterman and fellow professional golfer Laurie Waters, the Durban Country Club was established in 1922 and has a proud history. The difficulties these men faced were immense as all earthÂ­ moving had to be done manually, giant sand dunes were flattened and dense bush and trees chopped down and carted away. Renowned for its classic Cape Dutch architecture, lush vegetation, undulating fairways, sand dunes and beautiful setting overlooking the Indian Ocean, the club has been the venue of choice for many an important celebration in its rich history. Signature Hole: 3rd - par 5 - 468m, a tee shot from the highest point on the course into a valley below, completely exposing the drive to the ocean gusts. Trees on the right of the straightaway hole need to be avoided as well as the large fairway bunker on the landing area to the left. Day 7: Hluhluwe > Mpaka (B,L,D) Continental breakfast is served until departure. 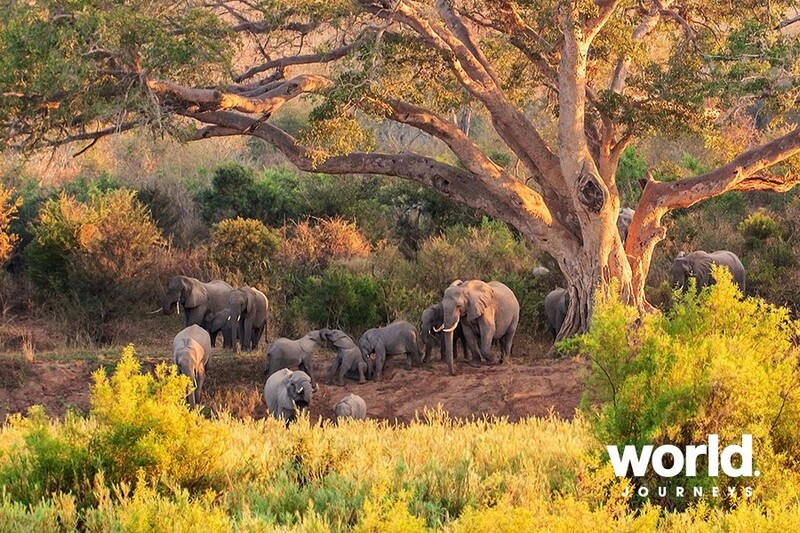 Transfer to Hluhluwe-lmfolozi and board vehicles for a safari game drive. Tea break at Hilltop Camp before returning to the train. Brunch is served in the Dining Cars en route to Golela for border formalities with Swaziland. Enjoy tea in the Lounge Car and Observation Car at the rear of the train before dinner is served en route to Mpaka. Day 8: Mpaka > Swaziland > Kruger National Park (B,L,D) After breakfast, golfers transfer (90 minutes) to Royal Swazi Sun for tee off and lunch. 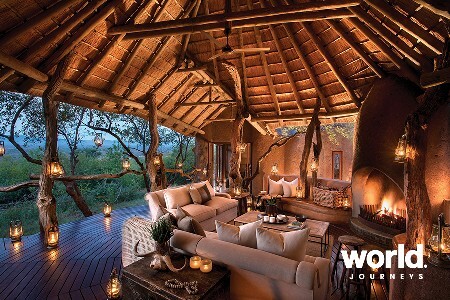 Non-golfers enjoy a safari game drive in Mkhaya Reserve and a visit to Swazi Candles. After returning to the train and unwinding with tea, dinner is served in the Dining Cars en route to Malelane. Royal Swazi (6,166m, carts available) This spectacular championship course is one of the most scenic locations found in the world. Opened in 1966, it has been laid out on the slopes of the Lebombo Range that curves gently down into the valley. The first nine holes are comparatively level but the second nine fully exploits the mountainous terrain. Challenging features include lakes, gullies thick with vegetation, out-of-bound areas running close to fairways, swirling breezes, clusters of magnificent trees and indigenous plants and wickedly sited bunkers - one is so steep it requires steps to facilitate access. Day 9: Kruger National Park (B,L,D) After breakfast, golfers transfer to Leopard Creek (15 minutes) OR White River Country Club (75 minutes) OR Nelspruit for tee off and lunch. 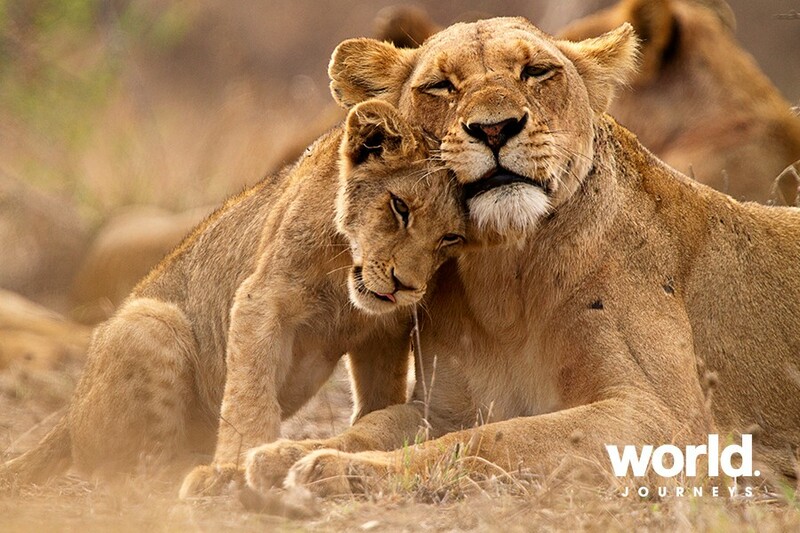 Non-golfers enjoy a safari game drive in Kruger National Park with the opportunity for curio shopping after lunch. Return to the train for dinner and enjoy the final prize-giving by the on-board golf pro. Leopard Creek, Kruger Park Malelane (6.631m, carts available) This ultra-exclusive world-class facility is the brainchild of magnate Johan Rupert and, as can be expected, no expense was spared. Bordered to the north and the west by the picturesque Crocodile River and the Kruger National Park, the course represents African golf at its best with indigenous bushveld bordering the immaculate fairways and greens. Innovative architectural and landscaping techniques ensure the course is naturally protected from animals, while lakes and small streams divert through the development to create scenic vistas and interesting golf strategies. Hazards take a new dimension for much of the water is home to the magnificent creatures for which the river is named... crocodiles. Signature hole: 13th - par 5 - 505m. Here the green is right on the edge of the river but 32m above the water level offering magnificent views into the Kruger Park. White River (6.036m, carts available) Naturally adapted to the valley floor upon which it lies, White River is located at the feet of several private nature reserves. Such is the beauty of the course that holes 7 and 11 have been compared to the likes of Augusta. Opened in 1924, it was designed by Gary Player and Reg Taylor. The long, snaking river that runs through the course is the defining feature and is home to an astounding array of flora and fauna. Signature hole: 5th - par 3 - 138m: This hole calls for an accurate tee shot over the river onto a gently sloping green. Nelspruit Golf Club (5,700m, carts available) Nelspruit lies in the fertile valley of the Crocodile River in the hot and humid Lowveld. 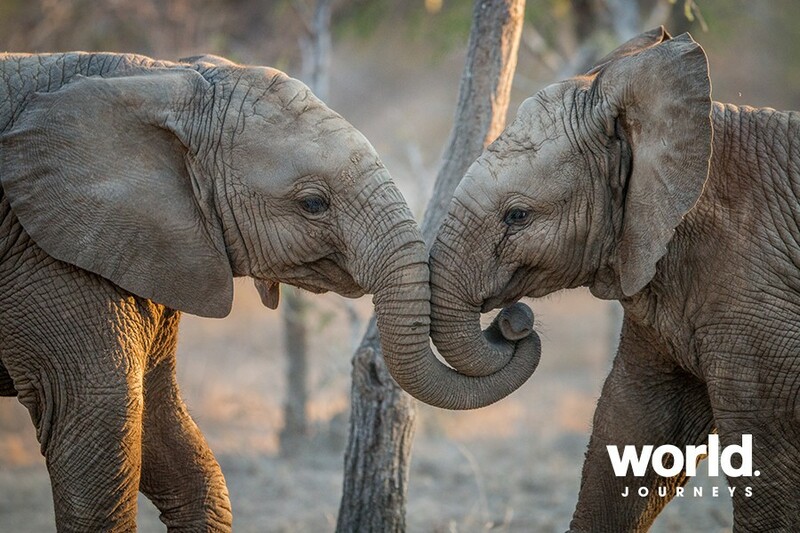 It has a very important place on the tourist map due to its close proximity to the Kruger National Park. Founded in November 1928 and moved to its present location in 1939, Nelspruit Golf Club is one of Mpumalanga's top courses. The bushveld course is a Bob Grimsdell design built among rocky outcrops. It was a nine-holer for nearly 30 years before Grimsdell returned to complete a second nine in 1967. It was left largely untouched until 1998 when Peter Markovich upgraded it. The course is lined with indigenous lowveld trees and bent grass greens and cynoden/kikuyu fairways complement the landscape. Nelspruit Golf Club is famous for hosting the annual Jock of the Bushveld Festival of Golf, considered the biggest amateur tournament of its kind in the world. Started in 1968, it now receives some 800 amateurs from far and wide who play more than 2000 rounds during a week in May. Day 10: Kruger > Pretoria > Cape Town (B) Breakfast is served in the Dining Cars. The train arrives at journey's end at Rovos Rail Station in Pretoria. Here you will be met and transferred by private vehicle to O.R. Tambo International Airport for your onward included flight to Cape Town. Upon arrival at Cape Town Airport, you will be met and transferred to the St James Manor for 3 nights. St James Manor Built over 100 years ago, the Manor overlooks the vibrant fishing village of Kalk Bay with majestic views across the Indian Ocean. Built as a single-storey thatch residence in 1874, the house passed through the hands of a number of illustrious old Cape families until it was acquired by Rovos Rail in 2009. The Manor has an aura of grandeur and old-world charm with a magnificent wood-panelled staircase leading up to the five large suites and a standard twin. The individually decorated rooms reflect the opulent times of a bygone era with floral fabrics and calm colours, Persian carpets and early English and South African antiques. The house has a number of reception rooms, a library, a bar, a breakfast room and an elegant dining room. Carved into the mountain is a private pool and tanning deck where those reluctant to leave the exclusive environment of the house will no doubt happily while away the warm summer days. 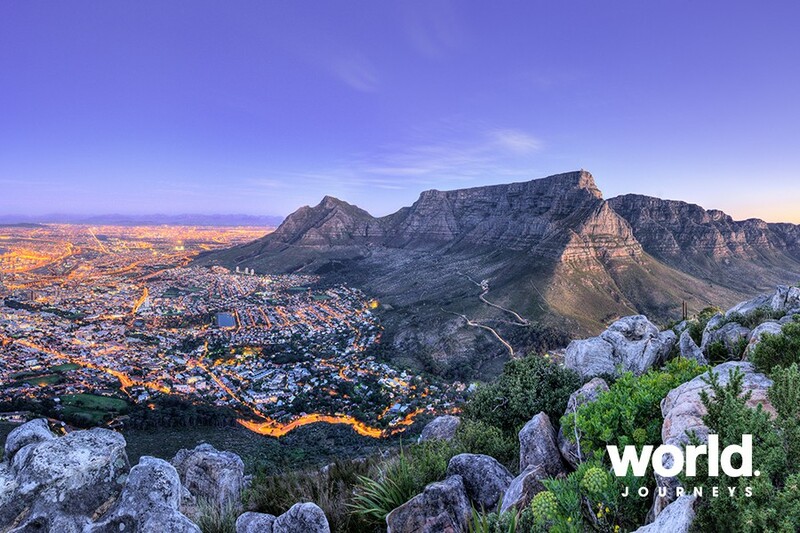 Day 11 & 12: Cape Town (B) Spend two days at leisure in Cape Town, widely described as one of the world's most beautiful cities. 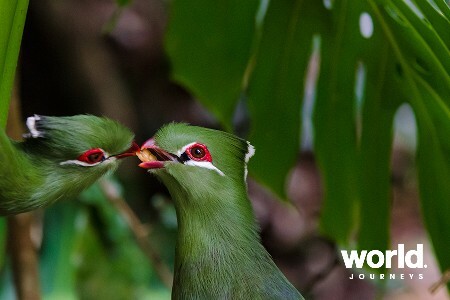 Day 13: Cape Town (B) Today you will be collected from your accommodation and transferred by private vehicle to Cape Town International Airport in time to connect with your onward flights (not included). Cancellation fees apply. Departure and arrival times are approximate and cannot be guaranteed. All arrangements, including the specific golf courses visited, are subject to availability. All guests are solely responsible for ensuring they are capable of undertaking the tours and activities. Pricing is subject to change due to exchange rate fluctuations.